Thank you for your interest in PSIA-E Education Foundation scholarships. The PSIA-E Education Foundation provides support to members in their endeavors to further their education and certification. The scholarship application is available only while the application period is open. Scholarship application period begins when the preview of schedule is released in September through the application deadline: November 1, 2018. Please check back again for more information for next season! Event Scholarships Available for All Disciplines! Don’t miss out on this great member educational benefit! Each year, generous donations from Members and Sponsors to the PSIA-E Education Foundation make more than 100 scholarships available for members who wish to further their education and certification status within PSIA-AASI. Scholarships are available to any member in good standing. You need to meet the requirements of the specific fund for which you apply. All scholarship applications are reviewed and awarded by the Scholarship Review Committee, which is made up of members of the PSIA-AASI Eastern Division Board of Directors. A member who receives scholarship funds in one year will not be considered for a scholarship in the subsequent year unless there are demonstrated needs and available funds after all other requests from previous non-recipients have been granted. The Membership Scholarship is open to members of all disciplines and certification status. This scholarship can be used for all PSIA-AASI educational and certification events. The Terry Fund Scholarship is designated for members of all disciplines with at least a Level I certification status who desire to further their education in the area of snowsports instruction for children. This includes all PSIA-AASI educational events that specialize in children’s snowsports education. The James Leader Memorial Scholarship is open to members of all disciplines and certification status who desire to continue their education in snowsports instruction. 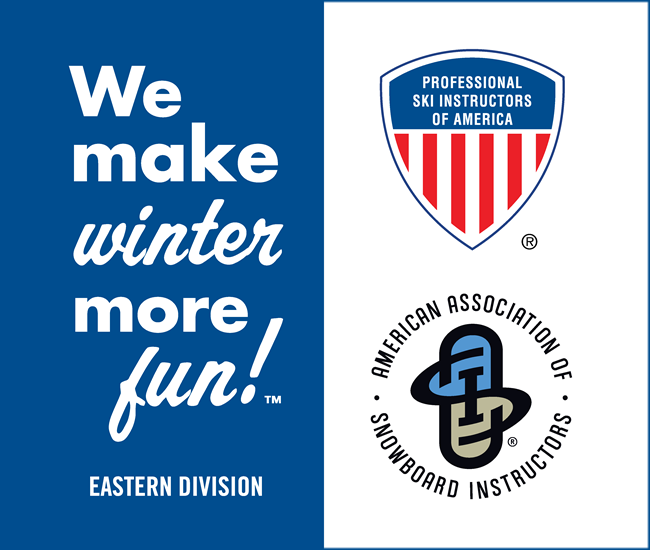 Applicants must be a member of PSIA-AASI Eastern Division, with first priority given to employees of the Killington Snowsport School. Second priority will be given to members from Region 2 (Vermont), and the remainder available to all members of PSIA-AASI Eastern Division. The James Leader Memorial Scholarship has a separate application form and requires that applicants provide a letter from your snowsports school. The CE Burbridge Memorial Scholarship is open to members of all disciplines and certification status who desire to further their education in adaptive snowsports instruction. This includes all PSIA-AASI educational events that specialize in adaptive snowsports. The fund supports both the subsidy of Adaptive consulting programs and $500 in individual scholarships each season. This scholarship is open to any member of the Board of Examiners, Examiner Training Squad or the Development Team. This scholarship is designed to help individuals in these groups to expand their knowledge and skills beyond regular training sessions, or to gain expertise in another discipline/specialty. This scholarship allows members of these groups to serve and educate PSIA-AASI Eastern Division members more effectively. The William Hetrick Editorial Scholarship was created in June of 2011 to provide a long-term legacy for Bill Hetrick and recognize his passion for both snowsports and writing about snowsports and the mountain experience. It will be an annual program that awards education “dollars” that recipients may use to register for PSIA-AASI education events. The scholarships are awarded to contributors to the SnowPro as well as those who provide time and talent to educational writing projects such as manual updates and online course development. When the schedule is available, choose an event and complete the entire scholarship application and submit it online – no later than the scholarship deadline. You will receive an immediate e-mail confirmation to confirm your scholarship application has been received. The Scholarship Committee will review and evaluate applications. Applicants will be notified of the committee’s decision by e-mail and by mail. You must register (by the event deadline) for the event by completing and submitting an Event Application. You should apply well before the event deadline, and include full payment if you have not been informed of a scholarship award (i.e. for early season events or events that have limited attendance and may fill up quickly), to ensure your place in the event. If you have received written notice of your scholarship, please indicate that on your event application. Anyone paying for an event and then awarded a scholarship will receive a refund in the amount of the scholarship following attendance at the event. Scholarship awards may be for partial or full event fee of an event. Please be aware that the number of applications always exceeds the available funding, so not all applicants can be awarded a scholarship. Applicants who are awarded a scholarship are encouraged to write an article relative to their event experience, or to relate how information gained from the event is being utilized. Submit the article by e-mail to: karenh@psia-e.org. Articles should be submitted within a month of the scholarship event, if possible. A limited number of scholarship articles will be selected for publication in the SnowPro newsletter. Thank you for your interest in continuing your snowsports education, and good luck! Winter 2019 Snow Pro – ONLINE! Copyright © 2013 -2017 - All Rights Reserved. Images are copyright their respective owners.